The name of the game in hospitality is customer service! Attentive customer service can dramatically affect a guest’s experience with you… and your bottom line. It pays (literally) to pay attention to the customer service facet of your business because referrals are the best and cheapest marketing strategy. 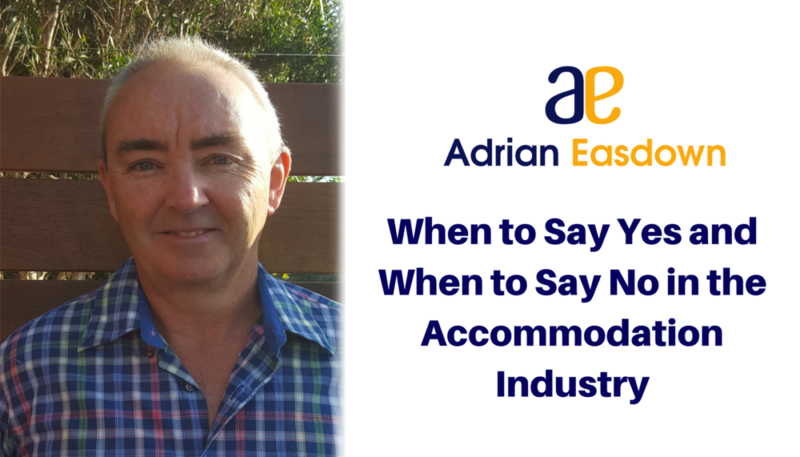 Follow these top tips and you will be on your way to a rewarding career in the accommodation industry. A cheerful demeanour can go a long way in impressing guests. From your first interaction while guests are first checking in to their farewell, have a smile and a warm attitude. Train all members of your staff to uphold this standard as well. The number one rule in hospitality is to be nice to the guests. Entrepreneurs are eternal students. Remember this and take notice of your accommodation while you are on holiday. Be observant of how you are treated as a guest. What went well? What could be improved upon? Then apply those observations to the experience of your guests. What lessons can be learned? This is a useful exercise to have you think about your business from the client side and ensure that the customer service is at a standard that you would personally enjoy. When it comes to the world of holiday parks, the majority of it has been untouched in its design. The rustic feel of most parks are tied to the visitors’ memories and experiences, so that doesn’t necessarily need to be changed. However, be sure to keep your amenities up to scratch. Your facilities don’t need to be the most modern, but they must be pristinely clean. This is the most important differentiator for holiday parks, so keep this as a high priority. So, there you have it – three top tips on how to deliver extraordinary customer service. As a holiday parks manager, be sure to wear a smile, think like a customer and keep your facilities clean! If you remember these main strategies, you’ll keep your customers satisfied and keep them coming back for more! Listen to our entire conversation and subscribe here!